Children’s Xmas Bikes – Order Now! 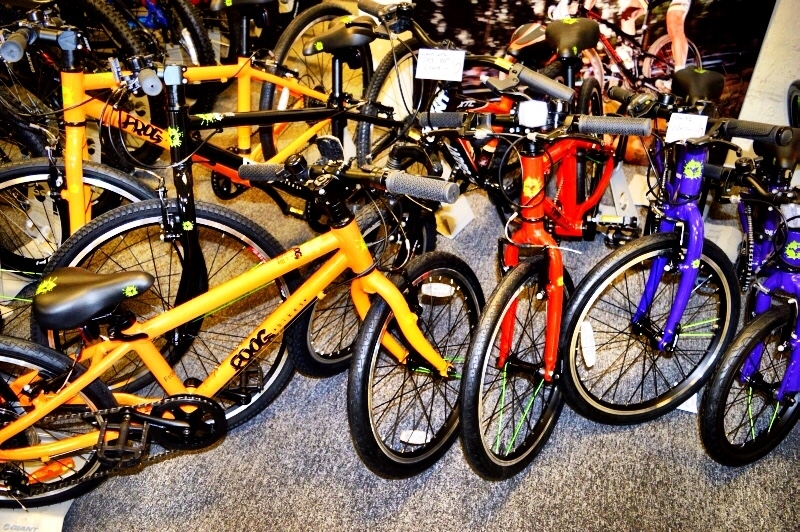 We’re receiving a lot of orders for Christmas bikes for children and although stocks are still available, our main supplier, Frog, is advising that you get your orders is as soon as possible. As Christmas draws near, stocks run down very quickly and it becomes a lot more difficult to guarantee delivery for the big day. Above: We’ve currently got good Frog stocks in, but Christmas is coming! As well as a great range of their bikes, we also have the rather cool Frog size measuring wall. We don’t know what it is, but getting fitted for your new Frog bike using the measuring key and big green backdrop is just so cool! Why not come down today and find out which Frog is for you? This entry was posted in Latest News on October 20, 2014 by pedalsportclub.